Holiday Gifts For Your Bundle of Joy | Breezy Mama Breezy Mama - Expert parenting advice, celebrity interviews, product reviews for kids, moms and babies and more! Rockin’ Baby clothing is one of our picks this holiday season! For the little ones on your list this year, check out these must-haves! Babies grow out of their clothes so fast! Keep your kids fashionable as they grow with Tiny Bitz’ Growing Kit sets! Aiming to make a treasured gift for growing kids, Tiny Bitz Growing Kits include a 3-piece set of three onesies, each designed differently for a baby’s growing size. Each kit is carefully crafted to accommodate a baby’s growing size with the season they were born in. Short-sleeve and long-sleeve onesies are offered to match the baby’s size, comfortable to wear during the summer and winter. Shop their various fashionable collections such as, Twinkly Nights, Spot on the Dots and Pitta Patta all at an affordable price! Looking for more pieces? Tiny Bitz gives customers the chance to purchase essential 5-piece and 7-piece sets, that feature a sleeping bag or cotton soft blankets. With each set gifted in festive wrapping, your baby won’t be your only bundle of joy. Socially conscious, style-savvy parents need to know about Rockin’ Baby. Their childrenswear, accessories, and baby carriers are made in the USA with fairly and sustainably sourced fabrics. Rockin’ Baby’s “You Buy. We Give.” model gives back to ChildFund and other non-profit organizations around the world, donating one well-made product for each one sold! Check out Rockin’ Baby’s all new fall/winter 2016 line on their website! Socklings knee socks for babies were created when Ericka started to notice a pattern with her daughter’s socks. They would be on her little feet, snug as a bug, until she started wiggling and trying to crawl. The moment her feet touched the floor, carpet, or her tiny hands, her socks would instantly fly off her feet as if she had some sort of magical superpower! She tried to solve this by putting her into tights, but after a couple dirty diaper changes, Ericka realized that this was an even worse idea. With the help of friends and family, they searched through baby stores, catalogs, and every corner of the web trying to locate a thigh-high baby sock. After she braved the terrors of the internet, Ericka came to realize that she would have to put their spirit of creativity to the task, and she set out to creating a solution for parents everywhere. Socklings are 100% USA made thigh-high children’s socks that solves the problem for every parent that has ever struggled with children’s socks. No more lost socks! Green Goo’s organic skincare line provides pure, natural and healing ingredients to nourish skin. Green Goo believes in using only the highest-quality, natural, beneficial ingredients the earth has to offer… food for your skin! These products are being used with the Mandela Foundation for their portable hospitals, with World Vision for their Somalia team helping with wound care and even John Hopkins! Your purchase and gift will contribute to offering clean products around the globe. Moms everywhere love the Mama and Baby travel set. It has everything they need and can be easily thrown in their purse or diaper bag. 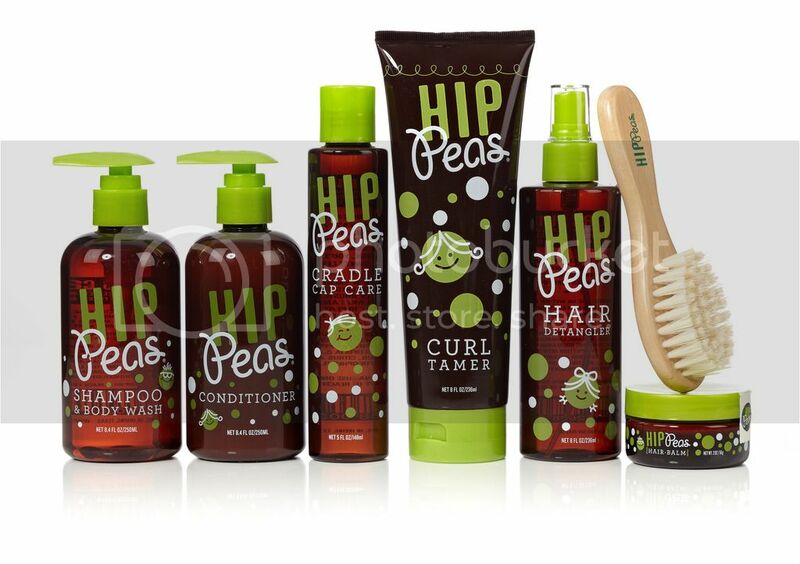 This holiday season keep your baby’s skin smooth, moisturized and protected with skin-loving ingredients gentle enough for infant’s delicate skin from Hip Peas. Baby Lotion: Carefully crafted with natural shea butter, Vitamin E and sunflower seed oil, this hypoallergenic lotion will nourish and moisturize your baby’s sensitive skin. It’s gentle enough for daily use and will provide your baby with a calming effect. Baby Bubble Bath: Scrub a dub-dub! Make bath time fun with a good ole’ fashion bubble bath, made with natural ingredients that won’t irritate sensitive skin or eyes, your baby can happily splash around with no fuss because this rich foaming lather is hypoallergenic and has a light non-toxic fragrance. Baby Body Wash: From head to toe your bundle of joy needs the most gentle and nourishing foaming wash to keep their delicate skin healthy and soft. Made with aloe and Vitamin E, this foaming wash is gentle enough to be used on the baby’s hair scalp. You don’t have to hire an interior designer to create the perfect nursery. With Tempaper, you can create a peaceful, playful, welcoming space within minutes! Quick and easy-to-use, simply measure your surface, pre-cut the panels, peel, alight and stick on a surface to give it a brand new look. 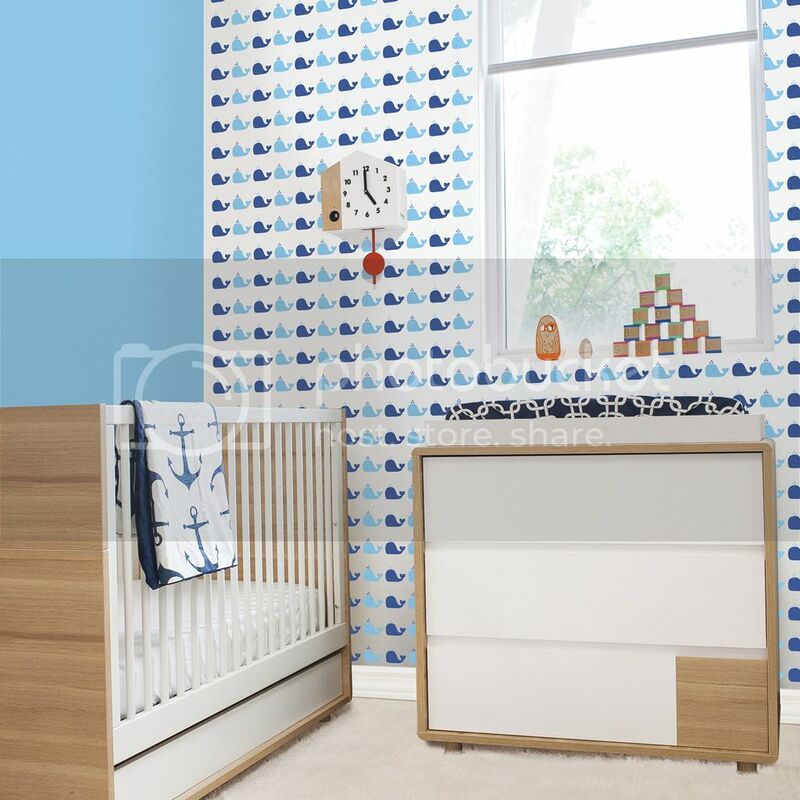 The affordable, self-adhesive wallpaper comes in a variety of designs to match your aesthetic such as, personal images or custom designs that you will love.